Ulver is obviously not a black metal band and does not wish to be stigmatized as such. We acknowledge the relation of part I & III of the Trilogie (Bergtatt & Nattens Madrigal) to this culture, but stress that these endeavours were written as stepping stones rather than conclusions. We are proud of our former instincts, but wish to liken our association with said genre to that of the snake with Eve. While Ulver (“Wolves”, in Norwegian) is not the first black metal band to flirt with genres other than black metal, they are one of the first bands that dared to abandon black metal genre completely and leave the associated scene behind, as well. This, most likely, resulted in loss of their core fanbase, but it also brought them an attention of people who never had any interest in black metal, as such (as well as some derision, of course). 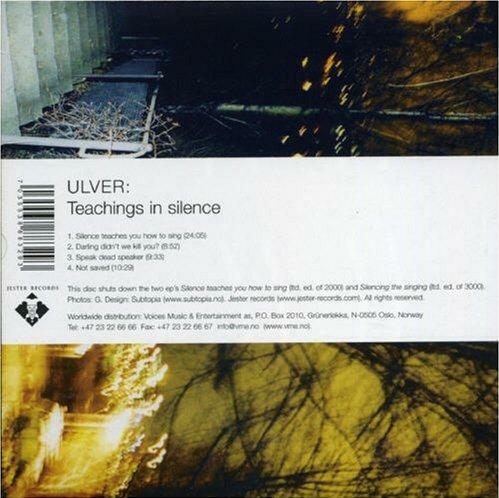 Ulver was formed in Norway in 1992 and started out as a primitive black metal band with folk influences. Their first few albums are usually referred to as “Black Metal Trilogie” where much of lyrical content was influenced by poets Ludvig Holberg, Thomas Kingo and traditional folktales. 1994 “Bergatt – Et Eevintir I 5 Capitler” (Mountain-Taken – A Tale In 5 Chapters) followed a story of maiden who was lured to the mountain by trolls and featured a number of acoustic instruments, as well as more traiditional (for BM genre, at least) distorted guitars and screaming vocals. The follow-up – 1995 “Kveldssanger” – also utilized a number of classical instruments, including cello and also had a folk theme. However, Ulver member Garm was sorely dissapointed in results and, according to him, “it was an immature attempt at making a classical album”, while later he added that the album is strong taking into account the band’s age at the time of its creation. The third and final album in the trilogy is 1996 “Nattens Madrigal” (Madrigal Of The Night), which sounded a lot closer to black-metal/folk-tinged “Bergtatt” than to “Kveldssanger”. 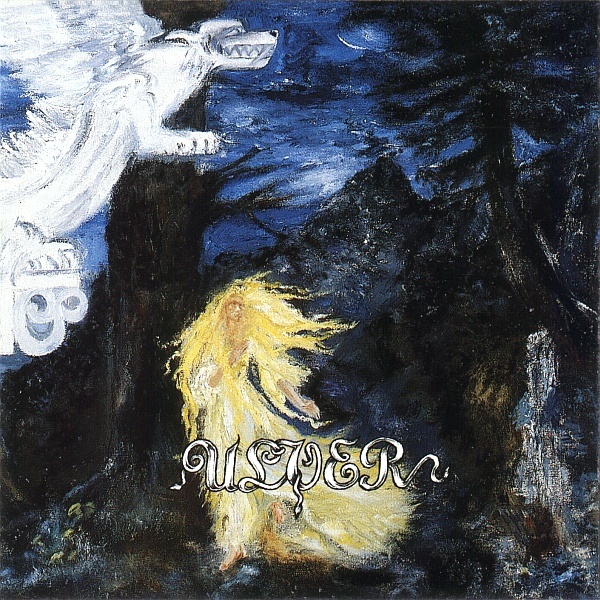 The album was intentionally underproduced to achieve a raw black metal sound and its release was surrounded by rumors that the band recorded it in the forest. Lesser-known rumor is related to the fact that the band had expensive tastes and spent money given to them by Century Media label on suits, haircuts, which was partly affirmed by Garm. 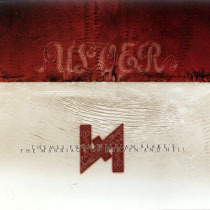 Their next album – 1998 “Themes From William Blake’s The Marriage Of Heaven And Hell” – was still built around traditional black metal sound, but also added elements of industrial music, ambient and prog-rock. As title indicates, album was based on William Blake’s poem “The Marriage Of Heaven And Hell” and, despite the fact that it alienated some of the fans of first three albums, it achieved plenty of good reviews from magazines like Terrorizer. Much of their later day work also have nothing to do with black metal or rock music in general – “Silence Teaches You How To Sing” and “Silencing The Singing” EPs were later combined into “Teaching In Silence” CD. 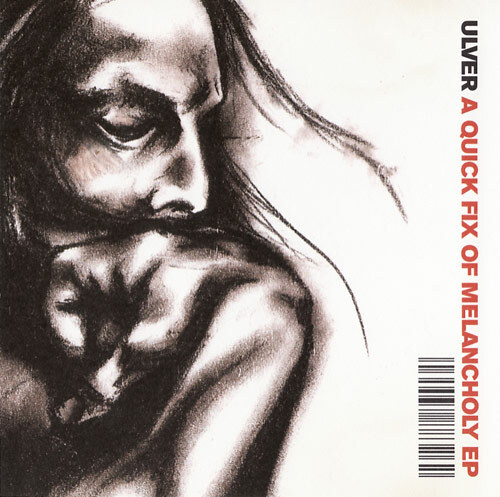 Since they had a lot of interest in atmospheric music, Ulver did plenty of soundtrack work, some of which was featured in such movies as “Lyckantropen” (and was released on CD as “Lyckantropen Themes”), Svidd Neger and Uno. 2003 EP “A Quick Fix Of Melancholy” added a symphonic element to band’s sound, while 2005 “Blood Inside” album saw their return to use of traditional and classical instruments, such as guitars, drums and bass horns. In 2006 they collaborated with drone/doom band Sunn O))) on a 15-minute piece and in 2007 Ulver released “Shadows Of The Sun”, their most personal record to date, according to Garm. Ulver were also featured on tributes to Dead Can Dance, Kiss and Prince, where they covered “In The Kingdom Of The Blind One-Eyed Are Kings”, “Strange Ways” and “Thieves In The Temple”, respectively.